Five friends, all sharing a Wilfrid Laurier University connection, are organizing a cycling and folk music festival to raise awareness about sustainable development while celebrating the Region of Waterloo’s Countryside Line. Hold The Line is a small not-for-profit organization and festival that takes place Sept. 16 in St. Jacobs, Ontario. The concept comes from Laurier employee Tyler Plante, Wilfrid Laurier University Student Publications employee Sam Nabi, Geography and Environmental Studies PhD student Alex Szaflarska, and alumni Sean Campbell and Richard Garvey, who all share similar values on sustainability and community. “We love that in Waterloo Region we can cycle to local farms for local produce while enjoying the countryside — we don’t want to lose this opportunity,” says Plante, coordinator of outreach and programs in Laurier’s Sustainability Office. Plante’s passion for the environment turned into an education and career path when he decided to study environment and business, and applied his expertise on sustainability to the private and not-for-profit sectors after finishing his undergraduate degree. In his role at Laurier, he works toward embedding a culture of sustainability across the university’s campuses — from faculty and community partnerships to ongoing and new operations such as bike sharing and fair trade food initiatives. “When it comes to growth and environmental conservation, we see Waterloo Region as a shining example of what others in Ontario can replicate,” says Plante, referring to recent intensification efforts in the region’s downtown cores. The ability for residents to enjoy local farming and natural landscapes in Waterloo Region is thanks in large part to a regional policy tool called the Countryside Line — it works to contain growth within urban areas by creating a 130-kilometre boundary on where development can occur. Nevertheless, Plante explains that the Countryside Line is something that can always be challenged — and that variance to the line can and has occurred. In addition to live music, the Hold The Line festival will feature locally sourced and sustainable vegetarian and vegan cuisine from vendors including Borealis Grille & Bar, craft beer from Together We’re Bitter Co-operative Brewery, as well as family friendly workshops, including activities organized by THEMUSEUM. The festival will also have a designated camping area, and a pancake breakfast will be served the morning of Sept. 17. 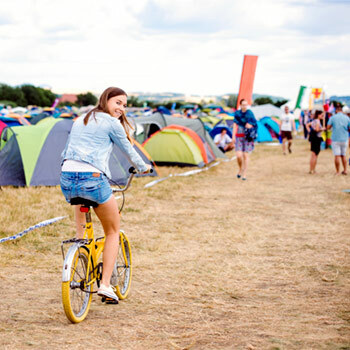 Transportation options are available on the festival’s website, as well as instructions on how patrons of the festival can cycle along the Countryside Line — including the 120-kilometre KWC route, and shorter 35-km Elmira and 10-km St. Jacobs lines. A bike valet will be available by donation for cyclists. “For cyclists interested in the festival, we have posted our routes on our Strava club page — so if they complete the line in advance of the festival, we’ll see their ride and we’ll recognize those who completed it,” says Plante. He encourages everyone to visit Hold The Line’s website to purchase a $20 ticket (children 16 and under are free) and to follow the organization on Facebook, Twitter, and Instagram for new updates from the organizers.